Students and alumni came together for a week of programs that offered numerous opportunities for students to connect with alumni working in the Metro New York area. Binghamton in the City events were designed so our students and alumni would help one another improve and succeed professionally and personally. Our annual Special Recognition Awards ceremony recognizes alumni who are shining stars in their career endeavors and who have given back to help make the University stronger. This year's ceremony will be held off campus for the first time, taking place in a setting where stars are made and shine brightly — Broadway! Make plans to join us April 28, 29 and 30, for an amazing event through which alumni around the world unite in community service projects. What will these projects be? The mix usually includes cleaning a park or animal shelter, feeding the hungry or planting gardens. You get to help us decide what will be offered in 2017! Arsal Asal ’11 says she constantly uses the psychology knowledge she obtained at Binghamton. It helps her get into someone’s head and motivate people. No, this Bearcat of the Last Decade (BOLD) is not a psychologist; those traits come in handy in her work as a screenwriter and director. The 2016 presidential race was a “change election” in which voters in a divided country cast their ballots against the establishment, a prominent pollster — and Binghamton University alumna — told a University Forum audience not long after the election. Want to help us engage more alumni in the life of the University? Alumni Association board members work in close partnership with Alumni Engagement staff members to develop stimulating programs, communications, and outreach for alumni and current students. Service on the alumni board is a great way to make an impact on your alma mater. Make a nomination by Feb. 15. The renewal of the Road Map to Premier strategic planning process was a major event for the University as the past year came to a close, and will set the tone for what will take place in 2017 and beyond. Read more about this and other exciting developments on campus in the President's Road Map Quarterly Report. Are you on Instagram? So are we! 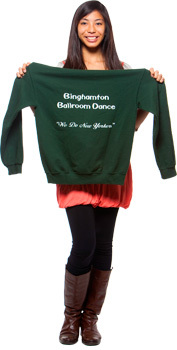 Follow us @binghamtonalum. You'll see cool photos from alumni events and campus life. Feel free to tag us in your pictures. 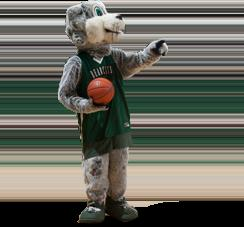 You're #Bearcats4Life — show your #BingPride!